How do I customize the example for my npm package? But, as you can see in the Canvas example above, you can customize this example. To do so, just add an entry to your package.json. 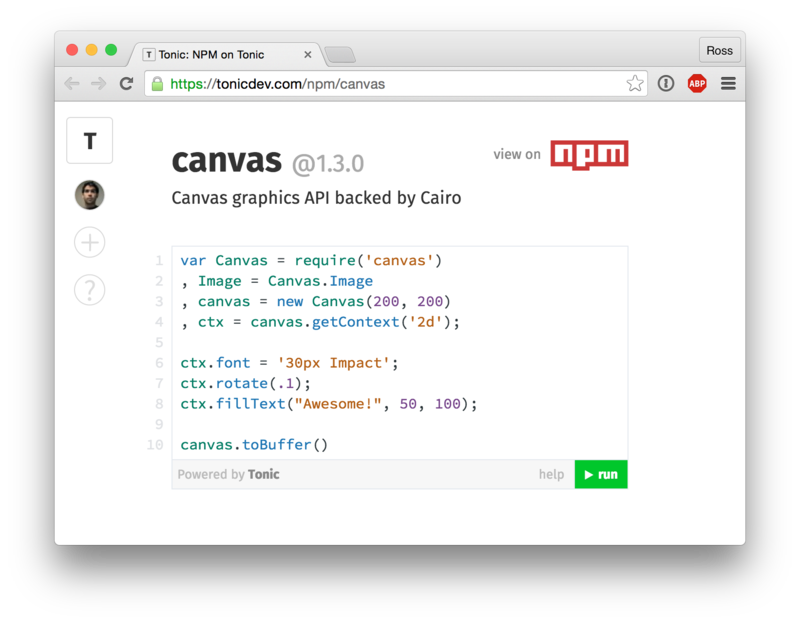 "tonicExample": "var _ = require('underscore');"
If you want to read more about the npm/tonic integration, check out this blog post. Can I run Tonic locally? How do I export my notebook?